The Tea Party is Crazy and Racist. Read This and Find Out Why. 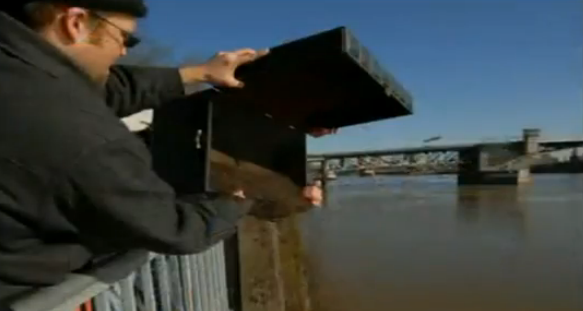 The founder of the Oregon Tea Party, Geoff Ludt, pours Tea into Portland’s Willamette River. It’s fashionable now to simply dismiss as nutty the people who ally with back to basics views: Fiscal responsibility, constitutionally limited government, and free markets. It’s only been recently that those solid American values have been labeled as crazy and racist by Democrats. Do I believe all Democrats believe those values are nutty? Naw. Just the ones engaged with the political process and influential in the Obama Administration. See, the idea is that if you besmirch and label your detractors, ala Saul Alinsky, pretty soon the labels will permeate the political water table. I’ve had discussions with intelligent, but uninformed people who believe this stuff. I’ve been told to distance myself from these values because aligning with “Tea Party” values is impacting my ability to get a job. So, knowing that these otherwise intelligent people don’t have any significant time to do any research on their own, here, in short bites, is a the brief and rocky overview of the Tea Party and why they’re racist and crazy. Obama Admin: On top of Bush’s bail outs and passing over billions more to us for TARP, we’ll spend $800 billion plus to ‘stimulate’ the economy by funding “shovel ready” jobs. Tea Party: No! Stop the spending! Our grand kids will have to pay for all the spending. We’re Taxed Enough Already! Let’s have a Tea Party! Democrats: The Tea Party is crazy and racist. Obama Admin: I’ve never heard of the Tea Party>>Who’s the Tea Party>>They helped conservatives win in 2010! >>Kill the Tea Party. Tea Party: Whoopee! We won! Let’s do it again! Obama Admin: You’ve got to argue with them and get in their face [sic]. Fox News isn’t a real news agency. 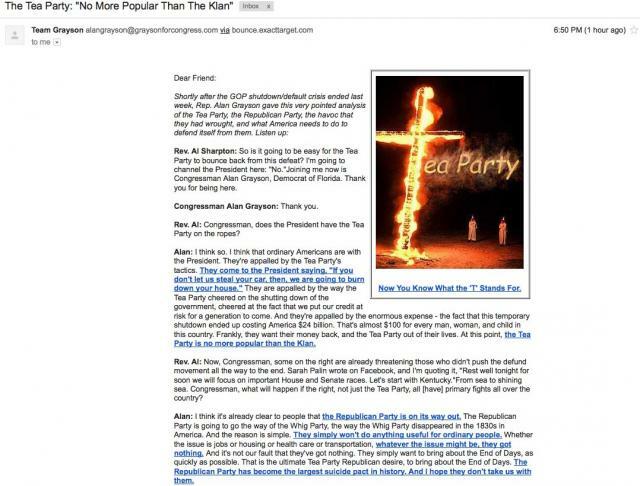 The Tea Party are racists. Go get Rush Limbaugh. Koch brothers! FreedomWorks! Tea Party: Picking targets for your union and community organizers to go after is wrong and unbefitting a President of the United States. Who are the Koch brothers? hybrid program called the Affordable Care Act. Tea Party: Kill the bill! No more entitlement spending! Kill the bill! No government-run health insurance! Kill the bill! Have you read the bill? Kill the bill! Obama Admin: Uses IRS to target Tea Party, Patriot and other similarly named groups to target for years’ long scrutiny. Tea Party: You did this to keep our money out of 2012 election cycle! We’re born free American people and we’ve come to tell our government that it has forgotten its place. 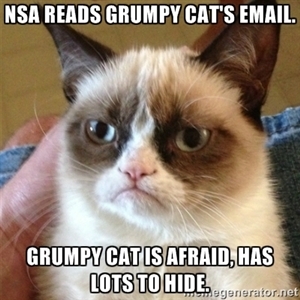 Obama Admin: #NSA culls through calls and emails of Americans. Tea Party: More control over lives, privacy and property! Obama Admin: Spies on Associated Press reporters, going through hundreds of reporters’ phone calls, to find source of Administration leak. Tea Party: This is a scandal and is wrong. Obama Admin: We don’t know who hacked into CBS News reporter Sharyl Attkisson’s computers at home and the office. Tea Party: Attkisson reported on two of your Administration’s biggest scandals, we think you’re likely to have done it. Obama Admin: Considers filing charges against Fox News reporter James Rosen for reporting on classified documents and then culls through his electronic records. Eric Holder lies to Congress about signing affidavit targeting Rosen as a potential criminal. Tea Party: George Orwell, pick up the white courtesy phone. Oh, he’s not there? Well then, is Richard Nixon there? Obama Admin: Adds $6 tril to debt. Tea Party: You’re spending too much & borrowing too much! Stop it. Democrats: The Tea Party is crazy and racist. And greedy. Really greedy. Obama Admin: “Walks” sniper rifles, AK 47’s, and FN semi automatic pistols across US border to give to narco terrorists in Mexico to trace them back to US. Loses track of most of them. At the same time Napolitano, Obama and Clinton give speeches about curbing gun use and blaming US for sending guns to Mexico. Hundreds of Mexicans are killed with Operation Fast and Furious guns. Border Patrol Agent Brian Terry and ICE Agent Jaime Zapata are killed with those guns. AG Eric Holder lies to Congress about his knowledge of the operation. Tea Party: Operation Fast and Furious is a scandal and needs to be investigated. Obama Admin: No electronic record keeping will be done for first year to qualify people for ObamaCare subsidies. If they ask for money, we’ll give it to them without question. Tea Party: The federal government health care computers aren’t ready. Stop this now. Obama Admin: Businesses will get a one year reprieve on ObamaCare mandates. Tea Party: If you’re going to give companies a break, why not individuals? Hey Ted Cruz, tell them! Obama Admin: We refuse to negotiate on giving individuals one year reprieve on ObamaCare fines. Tea Party: We’ll start our negotiation with defunding or delaying ObamaCare. Obama Admin: Religious institutions must comply with ObamaCare insurance which funds abortions. 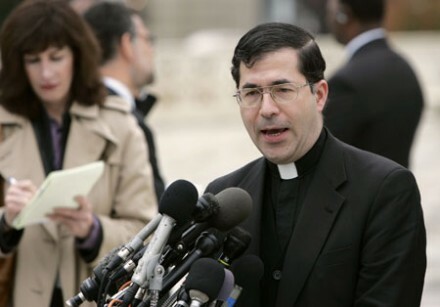 Catholic priests arrested for protesting ObamaCare’s infringement on Freedom of religion and worship. Tea Party: The first amendment. Try reading it sometime. Obama Admin: EPA Administrator Lisa Jackson attempts to elude Freedom of Information Act scrutiny by sending emails using a phony name. Tea Party: The “most transparent administration” ever, ever, is not. When does the investigation start? Obama Admin: Does end run of Congress and changes immigration laws by declaring the Dream Act in full effect. Tea Party: There’s this thing called the Separation of Powers in that thing you lectured about at the University of Chicago called the Constitution…? Obama Admin: We’ve created millions of new jobs! Tea Party: Most of those jobs are part time and millions more have been so dispirited they’ve dropped out of the employment pool at record rates! We must do something to free the private sector and create jobs! Obama Admin: Does not secure American Mission in Benghazi, Libya. Tea Party: How dare you not secure American Mission to protect our Ambassador! Obama Admin: Does not send help when American Mission and then CIA outpost come under sustained, hours-long attack, leaving four dead and seven injured. 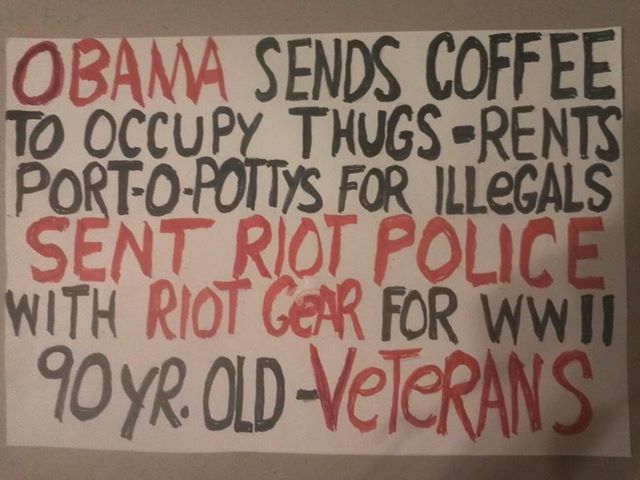 Tea Party: How dare you not do your duty and protect our people! Democrats: A video did it! There wasn’t enough time! The Tea Party is crazy and racist. Obama Admin: A video is responsible for the Benghazi attack. Tea Party: On September 11th? You expect us to believe that? Really? How dare you not do your duty and protect our people! Where’s the investigation? Democrats: This is a non story. The Tea Party is crazy and racist. Obama Admin. Jails the film maker. Tea Party: This is outrageous. This man is a political prisoner. Obama Admin: We’ll make government shutdown, “as difficult as possible.” We’ll close parks we’ve never closed before and shut the military memorials—even to those old coots in wheelchairs coming to the open air WWII Memorial. Tea Party: Hey, the House sent you a bill to keep that stuff open, why won’t you pass it? Obama Admin: Why would we want to help that kid with cancer? Tea Party: Why don’t you pass the bill the House sent you to fund NIH? Obama Admin: Ousts elderly couple from their Lake Mead home because it’s on federal land and they’re shutting it down. Tea Party: This is outrageous. They have a contract and this is an abuse of power.